This week in Dig Through Time, we’re going to take a trip back to the year I graduated high school, 2006. 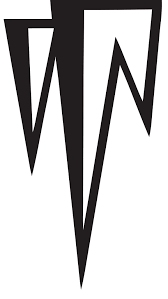 That’s right, today we’ll be reviewing WotC’s lost design file: Coldsnap. Coldsnap replaced Homelands as the third installment of the Ice Age block. 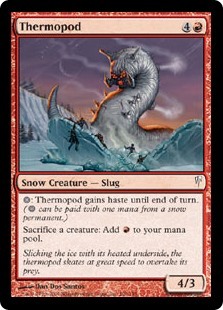 The set hit many of the themes and mechanics of Ice Age, giving us cumulative upkeep, the snow permanent type, and our old favorite, pitch cards. The set also introduced Ripple, which doesn’t see much EDH play outside of Shadowborn Apostle and Relentless Rats builds, and Recover which is a very cool, but sadly underdeveloped mechanic. Coldsnap really doesn’t get much attention outside of Zur the Enchanter (don’t be that guy), and all the people running basic snow lands to mitigate the benefit their opponents would get from Extraplanar Lens. Let’s dig in to find some of the tech hidden in this mostly forgotten set. When Oloro, Ageless Ascetic came out people complained that wasn’t good because all he did was gain you life, and people could always kill you with infect or commander damage. He was popular, sure, but lifegain is always popular with new players. Over time he’s proven to be both popular and good. The advent of cards like Felidar Sovereign, Ayli, Eternal Pilgrim, Karlov of the Ghost Council, and Aetherflux Reservoir provided new ways to weaponize lifegain, carving out more competitive pathways for the archetype. That brings me to Martyr of Sands which sees play in 134 decks. This card actually sees modern play in Soul Sisters (Soul Warden, Soul’s Attendant, and Auriok Champion), but it definitely has applications in EDH. She’s cheap to cast, cheap to activate, easy to recur in the colors of decks that would want her. She also has the ability to gain you massive amounts of life in one go. Let’s say you are playing her in an Ayli deck. You can cast Martyr turn one, leaving you with six cards in hand. Turn two you draw, and sacrifice the Martyr, revealing, say, five white cards from your hand. You’ve just gone from 40 life to 55 life on turn two. You can still play a land and another creature this turn. Drop Ayli on turn three and she’s already online. Start playing and recurring chumps, and you’ve got the board on lockdown. If you wanted to take the time to tune the deck with really fast mana, you could probably even get this out a turn earlier. I may have given it away by now, but Martyr of Sands sees the most play in Ayli, Eternal Pilgrim at 17 decks. She also sees play in Oloro, Ageless Ascetic, Ravos, Soultender + Tymna the Weaver, and Trostani, Selesnya’s Voice. One deck, at the very bottom of the list, that plays Martyr in all of 3 decks is Darien, King of Kjeldor. I think he’s actually the second most suitable commander to run this card after Ayli, as it’s possible to have a very swingy life total when running him. Of course, he probably already has a Soul Sisters package, but Martyr could really help if people decide to remove your sisers. Sunscour is an awesome board wipe that sees play in 145 decks. Remember in my Mercadian Masques article when I talked about how good free spells are? A board wipe is one of the best spells in EDH, and the topend board wipes are flexible in what they do and/or are cheap to cast. 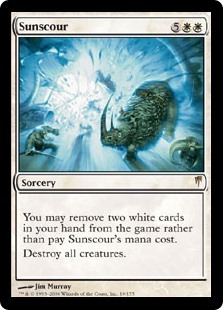 You might think twice before putting it in a deck with three or more colors, but Sunscour is easy to cast in most two-color decks. Even if you don’t end up using the alternate casting cost, seven mana is not terrible for a board wipe. It seems obvious that Avacyn, Angel of Hope runs Sunscour the most at 15 decks. It’s also great in Zurgo Helmsmasher, Archangel Avacyn and Tajic, Blade of the Legion. Really, who doesn’t like a free board wipe? Are you running Ophiomancer? Hero of Bladehold? Hooded Hydra? Chasm Skulker? Maybe you should take a look at Perilous Research which sees play in 172 decks, and loves tokens. Not only is it a two-mana Divination, it’s a two-mana Divination at instant speed and a sac outlet. Perilous Research is a great draw spell. Unless your deck is running a minimal board presence, there will always be something to sacrifice, and, if you do it right, you can turn the sacrifice into upside. This card sees the most in Talrand, Sky Summoner at 42 decks, who gets to make a drake off the cast trigger before Perilous Research resolves. Some other top commanders, according to EDHREC, are Yasova Dragonclaw where getting to sacrifice a stolen creature for two cards seems great. Dralnu, Lich Lord where drawing two cards and getting rid of Dralnu in response to massive damage is good value. Keiga, the Tide Star- steal a creature, draw two, go. Solid play. 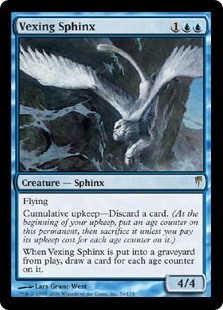 At 39 decks Vexing Sphinx doesn’t seem like a worthwhile inclusion in very many decks. Let’s think about some of the potential applications. Atraxa, Praetors’ Voice lets you proliferate those counters for maximum card draw. Commanders like Temmet, Vizier of Naktamun, The Mimeoplasm, and Sedris, the Traitor King all benefit from the free discard, and, since you’re a smart player running sacrifice outlets, you can cash the sphinx in for cards any time you need. Additionally, those commanders let you bring the Sphinx back to vex your opponents a second time. Vexing Sphinx sees the most play in Sharuum with 13 decks which I suppose must be Esper Sphinx tribal? I keep thinking about putting this in Damia, Sage of Stone, since you can stack Damia’s trigger under this one, allowing you to draw back up to a hand of seven, while stockpiling the graveyard. The Sphinx might also be decent in a red/blue aggro build featuring the likes of Spellheart Chimera and Enigma Drake. Or in Melek, Izzet Paragon, so you always have an extra card in “hand,” and run Mizzix’s Mastery, Past in Flames, and Jace, Telepath Unbound in the build to make your graveyard an extension of your hand. Void Maw is a more mana intensive graveyard hoser that sees play in 82 decks. The nice thing about this card is that it doesn’t hose your own graveyard strategies, and it even gives you upside, since it lets you return creatures it’s exiled to their owner’s graveyards at instant speed to pump its power and toughness. Sedris, the Traitor King plays Maw the most at 22 decks. It also sees play in Tasigur, the Golden Fang, Tariel, Reckoner of Souls, and has some combo potential with Phenax, God of Deception. However, according to EDHREC, it sees zero play in Lazav, Dimir Mastermind. Lazav states that he can become a copy of a creature card when it’s placed into a graveyard from anywhere, including from exile. Basically, Maw lets the deck store up a bunch of different creatures that Lazav might want to be, and then allows him to change his costume at instant speed. The only catch is that Maw only exiles creatures on the way to the graveyard from the battlefield, so you may want to skew your Lazav build a little more toward spot removal (or unorthodox tricks like Treacherous Urge), and a little bit less towards the classic Dimir mill. Thermopod sees play in 159 decks, and, at five converted mana cost, is just on the verge of being more expensive than we want Ultimately, though, the effect is strong enough that’s it’s worth running anyway. It’s almost a red Phyrexian Altar, and we all know how good that card is, right? The closest thing to Thermopod in red is Treasonous Ogre which sees play in 1058 decks, or the goblin specific Skirk Prospector which sees play in 1723 decks. Unsurprisingly, it sees the most play in the token multiplying Krenko, Mob Boss at 11 decks. It’s also great in Prossh, Skyraider of Kher, Kresh the Bloodbraided, and Zada, Hedron Grinder. Free sac outlets are nice. Free sac outlets that turn your creatures into mana are powerhouses. This card sees the most play in Xenagos, God of Revels at 66 decks. Turning a turn five Terramorphic Expanse into a turn five hasty 18/14 trampling wurm seems like a pretty good line of play in that deck. Panglacial Wurm also sees play in Yisan, the Wanderer Bard, Captain Sisay, and Selvala, Heart of the Wilds. 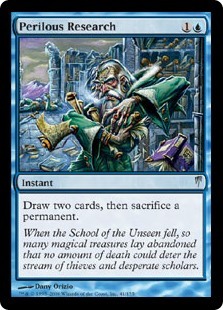 Put this card in your next green build and teach the blue player a lesson in cunning. 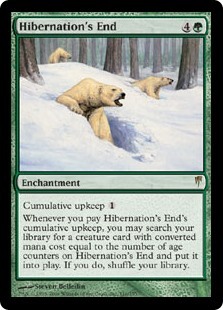 Hibernation’s End is an unorthodox fetch engine that sees play in 285 decks. Obviously, you’ll want to get this out as early as possible, so an aggressive ramp package is very important if you build around this card. It’s also important to have an evenly distributed mana curve, so you don’t whiff on any upkeep payments. Once you have it online, though, you basically get to cast a free Chord of Calling at the beginning of each of your upkeeps. Yisan, the Wanderer Bard plays this card the most at 28 decks. Both cards require creature chains of escalating converted mana costs, so there’s a good amount of overlapping strategic synergy. This card could see play in an enchantress build with someone like Karametra, God of Harvests or Trostani, Selesnya’s Voice at the helm. It allows you to fetch up your enchantress engines and get your deck rolling. Interestingly, End is another card where you might want to proliferate the age counters with Atraxa, Praetors’ Voice in order to fetch larger creatures faster. If you’re already in green, with lots of ramp, and lots of creatures, definitely think about throwing this into your next build. At 170 decks Blizzard Specter is one of the more versatile specters ever printed. I like to run this card with a copy of Blade of Selves in the deck. Warped Devotion makes this card doubly nasty. This card is really nice in any kind of hand shenanigans deck. Blizzard Specter sees the most play in Crosis, the Purger at 29 decks. 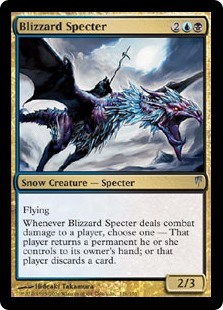 If you’ve never played specter tribal with Crosis at the helm, do yourself a favor. Build it and play it at your next EDH gathering. It’s one of the more fun decks I’ve piloted. Apart from that it sees play in Lazav, Dimir Mastermind, Vela the Night-Clad, and Nicol Bolas. Give it a try in any blue/black, it’s a gateway specter. Before you know it, you’ll want more. For today’s action, I cooked up a little Selesnya enchantress/token jank. We have Trostani, Selesnya’s Voice cranking out tokens, and some of the new cards from Amonkhet featuring the embalm keyword which will come in handy. Then we have some enchantments keeping our hand full of enchantress effects, ramping, making tokens, doubling tokens, and doing all sorts of fun things. Check back in two weeks when we’ll be digging through another old set’s garbage to find any secrets it may have been keeping from us.